Joel Katz is the voice of New Jersey Doo Wop music. For the past five decades he has been a major force in keeping 50's and 60's music alive. His tenor voice has fronted many groups including The Autumns, The Wizards, The Platinums, The Connotations, Twilight, and the elite Doo Wop group The Cliftonaires. He formed Joel and The Dimensions where he was joined by Johnny Maestro (The Crests and Brooklyn Bridge), Larry Chance (The Earls), and Bobby Jay (Larks and Teenagers). Recently Joel has sung with The Brooklyn Bridge, The Five Discs, and The Impalas. He was a background vocalist on the Aaron Neville Album, My True Story, and Hooray for the Riff Raff album Navigator. Joel's most recent effort is Joel Katz and the Dynamics. Backed by a live band, they will wow you with the harmonies of street corner classics of the 50's and 60's. Opening for Joel Katz will be Frankie and the Fashions from Philadelphia. Their acappella harmony is tight and flawless and they have been wowing area concert goers with their current configuration for eight years. The origins of this group go back to the early 1960's singing on the street corners. Their signature song "What do I have to do?" was written by lead singer Frank Lafaro. 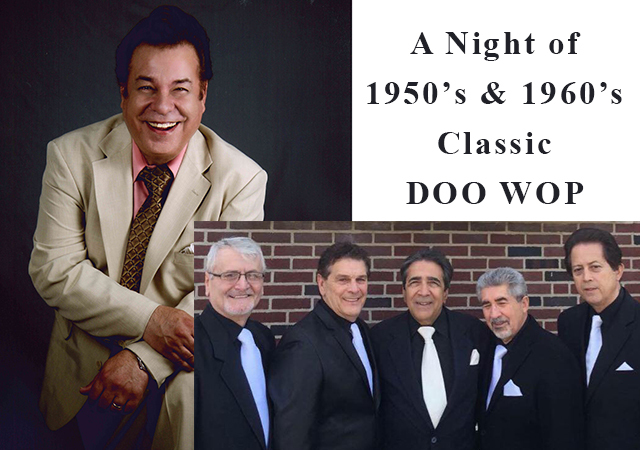 This is a night of classic Doo Wop that you don't want to miss!